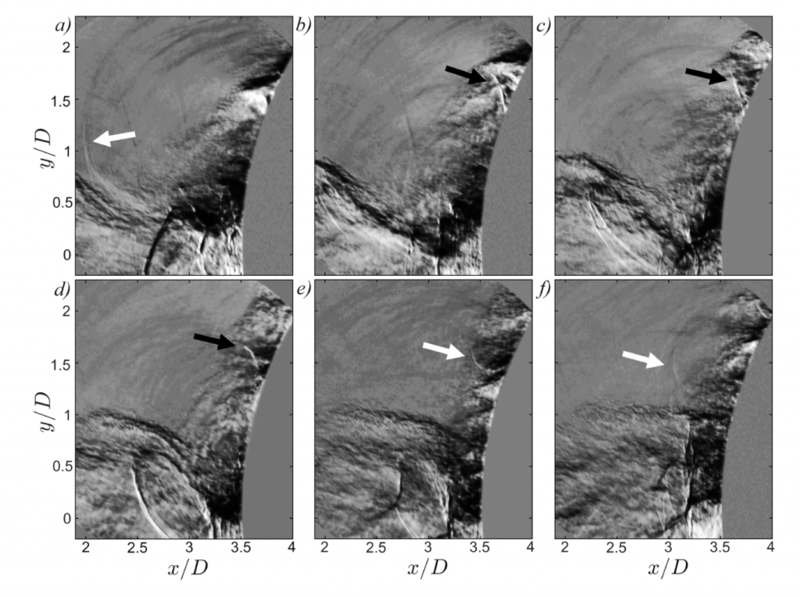 Congratulations to Joel, for the publication of his paper, An explanation for the phase lag in supersonic jet impingement in the prestigious Journal of Fluid Mechanics. This paper is the culmination of several years of work by Joel, using a combination of ultra-high speed schlieren and high-resolution Particle Image Velocimetry. Joel first identified the existence of a new transient shock structure in the wall region of a supersonic impinging jet during his final year project, and has since been working on working out its mechanism. This paper is the first archival presentation of that work, demonstrating that not only does this transient shock play a key role in the acoustic tone generation, but its existence can actually be used to provide the first physical explanation for the “phase lag” in the aeroacoustic feedback loop. All content Copyright © 2016. All rights reserved.